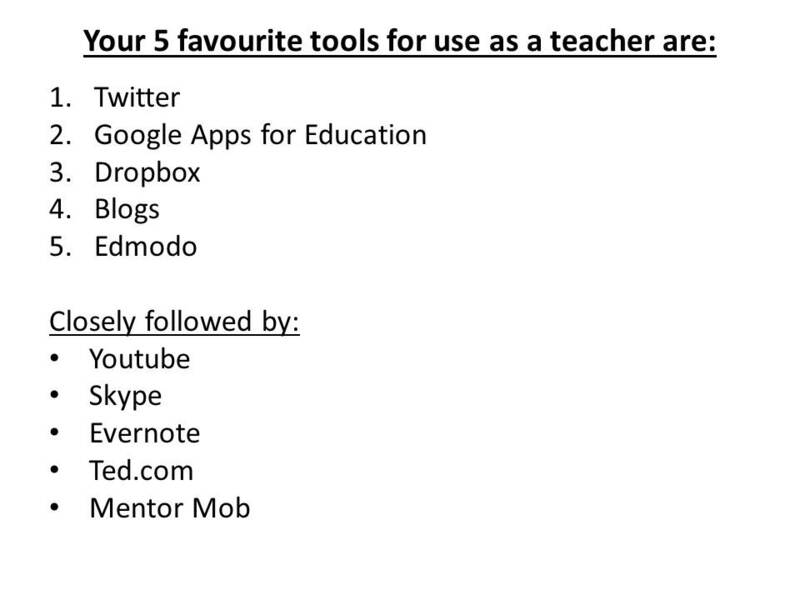 Thank you to the vast array of educators across the world who have taken part in this survey over the past 2 weeks. The point of this survey was to get the best of the best all in one place on my blog for you to utilise as a resource to help educate other educators in your community. 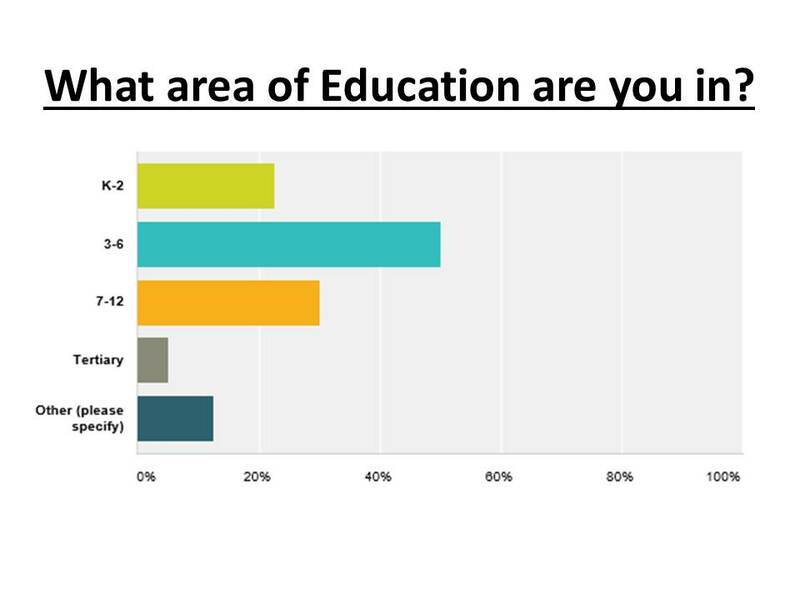 It is interesting to note that the majority of respondents have come from K-6 classrooms. 25% of the respondents are in secondary education from Grades 7-12. 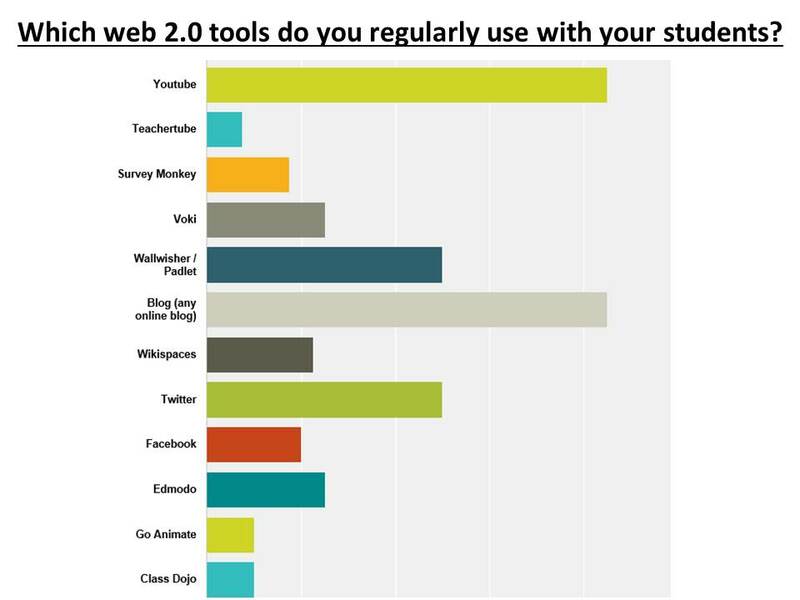 Respondents who put down “other” were generally involved in technology coaching roles across all grade levels. If you have not heard of some of these tools I highly recommend you do some searchnig over the holiday break and think about how you could integrate these in your classrooms. • Give staff confidence to get involved with technology. • Choose one and try it! • Start simple and it will change the way you teach. • Check out Diigogroups for educators. and in conjunction with other traditional tools that work. use them to engage students in thinking that enriches their learning. • Let students explore the tools and have fun with it. • Technology failure is always a frustration – don’t worry it happens everywhere! 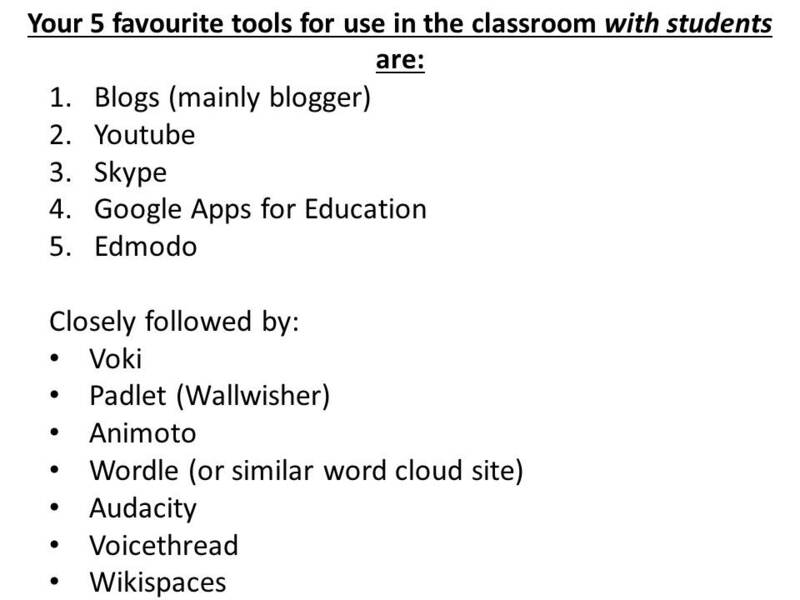 • “If I had better access to technology I would use more tools” – this is such a common statement in schools I have visited! • Pinterest is a great emerging tool for educators to utilise. • They should be the best tool for the job, not making the job suit the tool. Thank you to all of my amazing Twitter followers and colleagues around the world for taking part in this survey. I had such a fantastic response from nearly 100 of you! If you would like more details from the survey results please do not hesitate to contact me and I can send you some information. I plan on blogging about some of the interesting tools shared that I had not heard of before very soon so stay tuned. Pass this on to every educator you know and I look forward to collaborating with you soon. I had nearly 100 responses – I was blown away! If it was the Olympics I would have won Gold in the first three events… NZ, Year 3/4 and use Blogs and Youtube! Such a fantastic resource Craig and it is wonderful to see all the different newer technologies emerging. …as they showcase Pinterest as a resource goldmine and the opportunity for students to play and a way to make connection. I think this is a good survey by you. All information we need we can not get it from the single person. This method is very successful. Keep it up! myhistro.com – timelines that can be animated on Google Earth. Yes – sorry Craig. My reference to Google Apps was about it not featuring as a classroom app. I see it featured as a teacher app. I am curious though – is the potential of docs and apps perceived as a collaborative tool for students or as a dashboard for teachers to monitor students’ documentation/ blogging and messaging …? 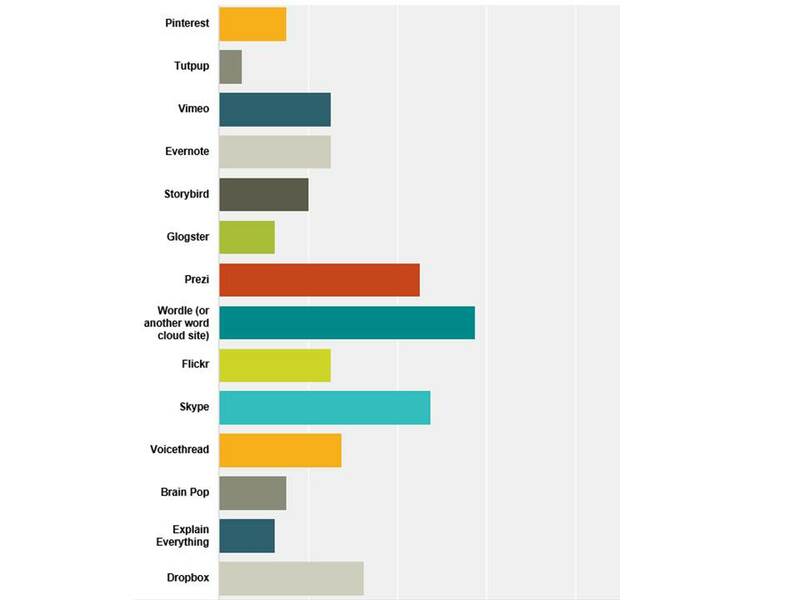 This survey is surely very helpful for us in future.